Because knowing everything today means nothing tomorrow. One day. A festival of experiences. Social Media Live is where the contentious questions around social media will be debated. It's the moment of collision. It's where you'll find everything you need to know about how social media is changing – including lots of things that you didn't even know you need to know. It's live. It's now. It's new. It's in the flesh. Now: Not yesterday's news. Not today's headlines. It's what's happening now. The line up of international brands, news and media powerhouses, and social influencers at Social Media Live will explore the exploding tensions that underlie what's changing in how we use social media and shape what's coming next. New: New interfaces. New algorithms. New technologies. New ways to incorporate the new into how you use social media – and how they will change how your audience experiences your brand. 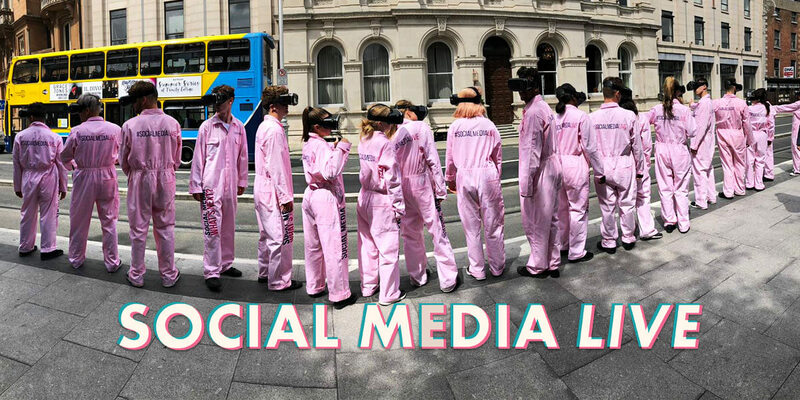 In the Flesh: Brought to life through case studies that are still being written, technology still being developed, and voices that are shaping debates, Social Media Live will challenge your understanding of what it means to really know social media.